Cross contamination can be a serious problem in the kitchen. 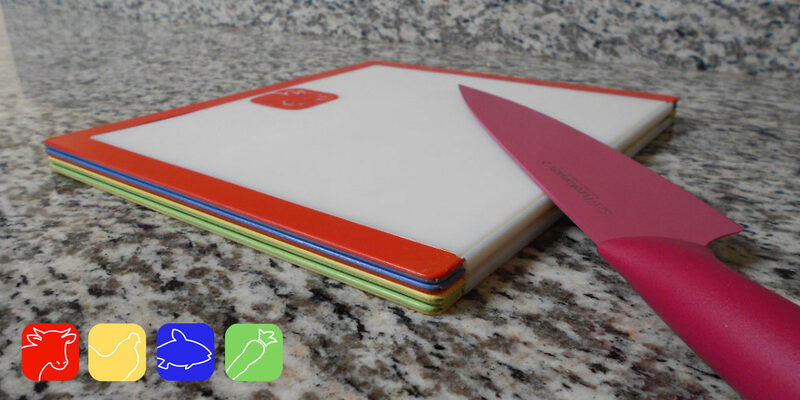 This cutting board makes it easy to remember which cutting board is for meat, poultry, fish or veggies so you don’t have any mix-ups. It is also very different from existing cutting boards in the market because it features four different boars that are attached and foldable. On one hand it can be used as four standard size cutting boards, and on the other hand it can become very compact when needed.